ou saw it in the movie Ted, during the unlikely fight scene between a grown man and his stuffed bear. And now you, too, can stay in the low-rise ’60s throwback that is the Midtown Hotel, across the street from the headquarters of the I.M. Pei-designed Christian Science Church, which owns the land beneath the building. This is a basic “heads-in-beds” hotel, with rates a third of what rooms go for in the big hotels a block away. 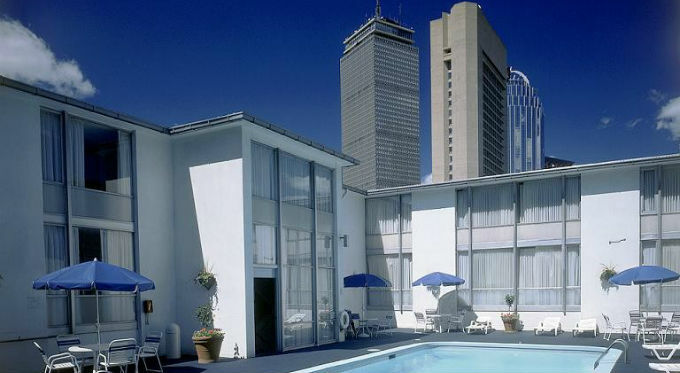 And while the place evokes a college dormitory, it’s clean and friendly, the rooms are big and bright, and there are surprising frills, including a rare (among Boston hotels) courtyard pool, a hair salon, and on-site parking for an additional charge—free for guests with tickets to sports and cultural events. These lines serve the Midtown Hotel. Click to find more secrets on your route.